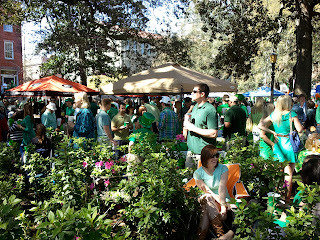 It's our 6th St. Patrick's in Savannah and today was my 4th parade (missed two out of town on work), and this was by far the worst experience - not that it was so bad. But a number of things became evident to me. First, plot out your plan weeks in advance. 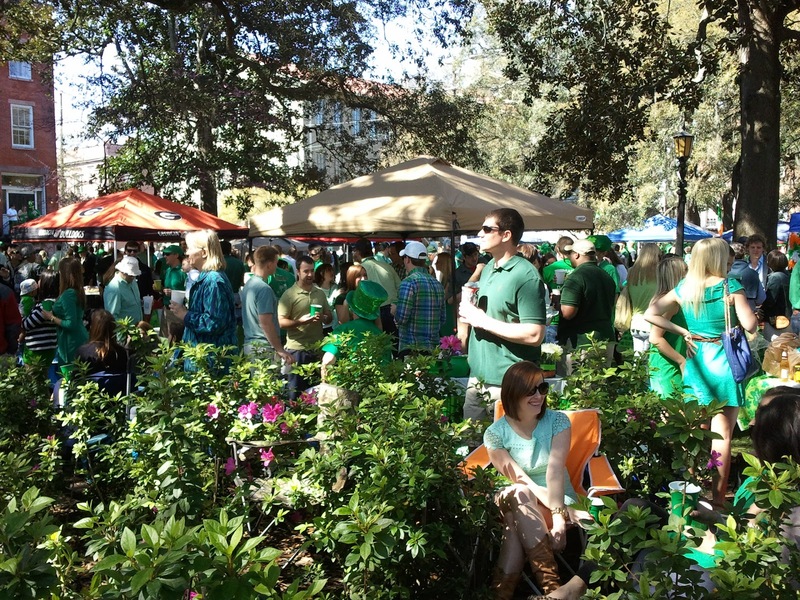 Meeting friends at a square on the parade route isn't a plan. You need more specific direction, i.e. northeast corner, or specific tent or a particular garb. "I'll be in the green felt hat" isn't good enough. Especially with this many people in a concentrated area, and the same amount of cell phone service that Oglethorpe had. It was more work than party. 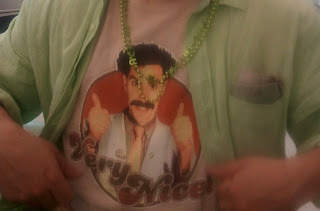 I was in the spirit too, with the kelly green cords and lime green linen dress shirt over my Borat tee. But being a guardian doesn't lend itself too the free-spirited wild man, no matter how many dozens accosted me with, "Very Nice!" You'll always run into someone, even if it wasn't your intended party. This year it was my daughter's elementary school teacher, who had room in the front row for the kids to watch for their Mom in the parade while I foraged for a much-needed cold beverage. Then there was the 1.7 mile walk home. Fortunately Forsyth was a natural midpoint, and the kids got to relax and play. When we got home a little after 2 PM, we flopped for the rest of the day. Next year there will be a real plan with less energy spent.